Featuring a new level of security to protect your guns, BR Series Gun Safes offer features simply not found on other types of gun safes. 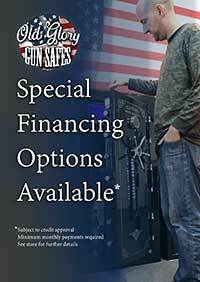 You will have all the security technology found on the most expensive gun safes plus new options never seen before. 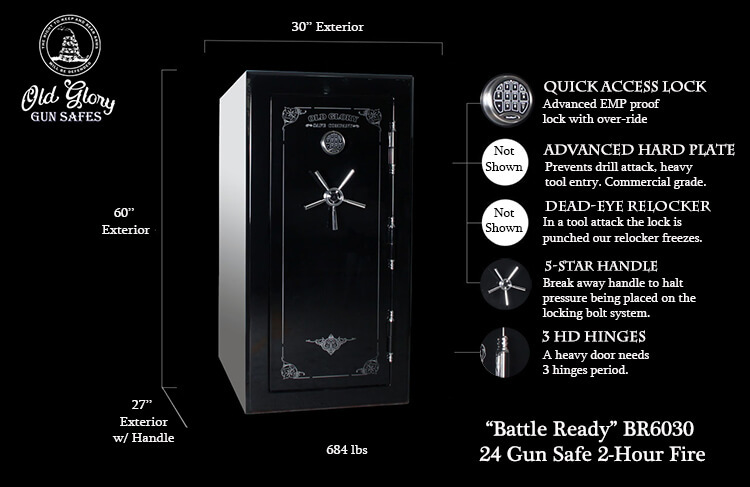 The Old Glory B.R tactical style gun safes all feature door storage, quick access locking, higher fire ratings and better uni-body construction. Our attention to detail will surely impress beyond the dull discount security cabinets found at most gun safe stores, hardware stores and sporting good stores. 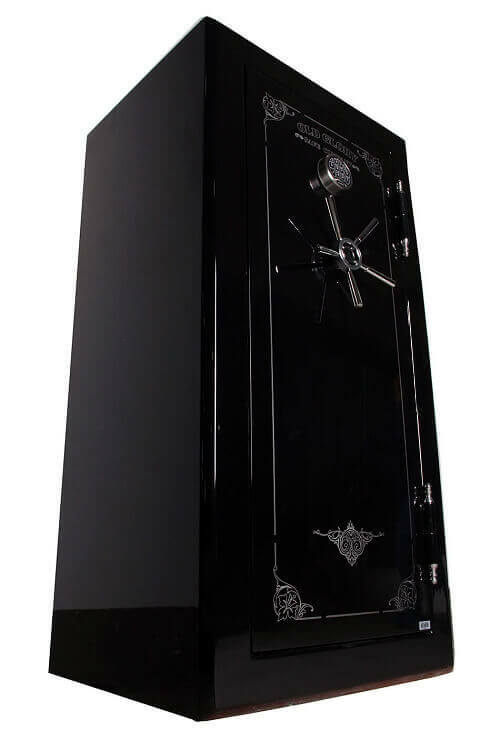 Old Glory Gun Safes are built to be the heaviest Gun Safes in their class to provide you with gun safety unmatched by discount store gun safes. 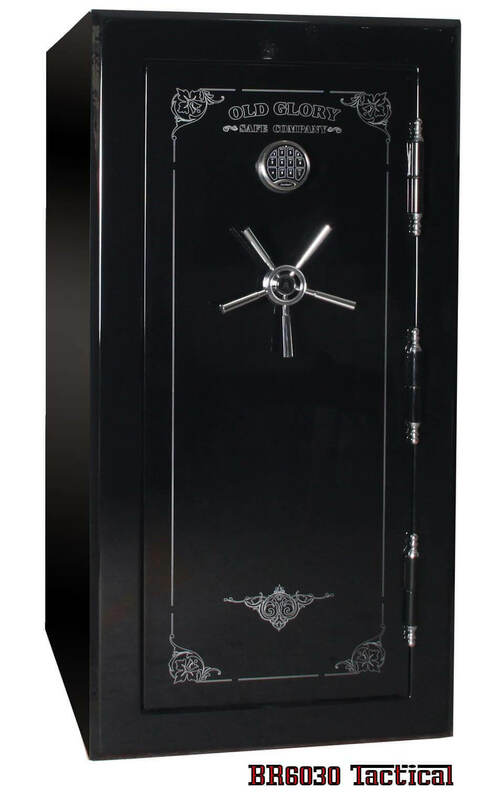 To own a new or even used gun safe of a heavy build makes all the difference when determining whether a break in vs. an attempted break-in actually occurs. Safes under 600 lbs are not as safe period. A big heavy gun safe made from steel bolted to the floor is the finest deterrent in a grab & go takes place. Pyro-blocker 1880 x-type heat shielding, Heat activated Palusol fire seals, Extra thick insulated fire doors giving not only protection for your gun but a new ability to also store papers. Your new safe can be safely stored in your garage, basement, under the steps or in a bedroom closet. The heat activated gaskets will serve you well in the event of lightning or electrical fires we have seen it all here at Old Glory Gun Safes. We know what it takes to protect your guns from the unforeseen. The beautiful cosmetic paint accented with the chromed out accessories make this extreme-duty gun safe seem much more able to be seen with fine furniture than the majority of safes for sale with matte finishes, weather storing the gun safe out of site or as a furniture piece you be sure to get many compliments on the quality craftsmanship of these unique gun containment units. The easy-in, easy-out style interiors are no additional charge and come standard with all BR Series Gun Safes. When storing guns like AR-15’s, Shotguns, Handguns, Rifles with scopes, Black Powder Rifles, B.M.G’s the list goes on and on we are skilled in making sure you get the right safe for your gun collection. We have the Gun Safe for you. Not all Gun Safes are created equal, it’s important to seek a gun safe that will serve your growing gun collection and possibly your changing gun purchasing habit. We celebrate gun ownership and take pride in designing and building a Gun Safe that you can be proud to own for many years to come.